The Xbox 360 is, officially at least, banned in China. Microsoft, however, hasn't given up hope of getting the machine cleared for a legal release. While you can find one easily enough at an importer, like most other games consoles in China (aside from the Nintendo DS), it is barred from official distribution, as consoles are seen by the government as a danger to youths and their vulnerable little minds. Microsoft corporate vice president Zhang Yaqin, though, isn't letting a minor quaffle like a decade-long ban on game consoles stop his company from trying to sell game consoles. 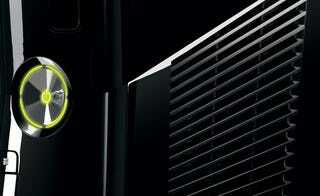 "We hope to launch Xbox as soon as possible but it all depends on the government," he told Shanghai Daily. Microsoft blames "several government bureaus" for the continued ban, and says at time there's no set timetable for a local launch for the 360. You have to admire Microsoft's sticktoitiveness in Asian markets. Nearly a decade of irrelevance in Japan, nearly a decade of nothing in China, and still they keep chipping away. One day, Microsoft, it may actually be your day in the region. One day!